It’s that time of year again, Tax Time! A good strategy for business owners is to incorporate your business and reduce your tax liability. There are a number of different types of entities to choose from and each one of them have different tax implications. It is absolutely imperative that you seek the advice of a professional before you arbitrarily choose an entity. The consultation of an attorney can cost as few as a couple hundred dollars. The online document creating companies DO NOT advise you on which entity to choose from. Imagine if you chose the wrong one, the tax burden alone could ruin your business. That’s not to mention the liability risk if you’ve chosen the wrong type. Have you ever heard the term “pierce the corporate veil”? If you haven’t then you need to be familiar with it before you incorporate your business. Please consult with an attorney, it will be the best decision you’ve ever made. Nevada is the best state in the United States to incorporate your business. 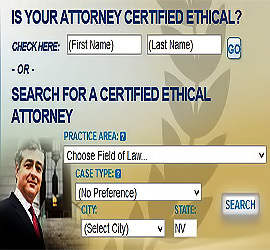 Find out exactly why by contacting a Certified Ethical attorney at www.attorneyguide.com . Our attorneys have passed an extensive screening and are in good standing with the local and state bar associations as well as the Better Business Bureau. If you’re looking for some great information on what the different types of entities, please visit: “What is the Best Entity” by Garret Sutton. Please feel free to comment and let me know your thoughts on the subject.